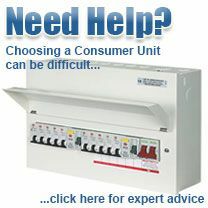 Suppliers of consumer units, MCBs, RCDs & RCBOs to trade and domestic customers for over 30 years. What is an MCB and how does it work? What is an RCBO and how does it work? What is a High Integrity Consumer Unit and How to Populate It? The Wylex NMRS12506 is a split load 'amendment 3' consumer unit offering a highly cost effective 17th Edition Regulation solution and excellent circuit separation. Supplied with an 80A 30mA RCD, 100A Main Switch and two neutral bars, the NMRS12506 allows for 12 MCB protected circuits, including for example, lighting, ring main, oven and showers and 5 RCBO protected ways for mission critical circuits such as alarm systems, fridge freezers and fish tanks. The NMRS12506 is constructed from heavy gauge steel and rust protected giving excellent resilience to both weathering and mechanical damage. 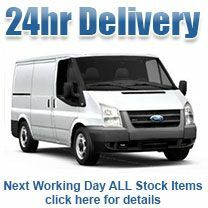 With lots of wiring space it is designed for ease of installation. What is a Split Load Consumer Unit?